Farmers should review when they order maize seed if they want to ensure they get the varieties they want and for the seed to be treated with the most widely used seed treatment. Tim Richmond, Maize Seed Manager for Limagrain believes a number of factors could make late ordering a risky and potentially costly decision. Demand for maize seed is likely to increase as farmers look to rebuild forage stocks after a difficult season. With forecast tightening of milk prices and likely feed cost inflation fuelled by exchange rates, he says milk from forage will be even more important. 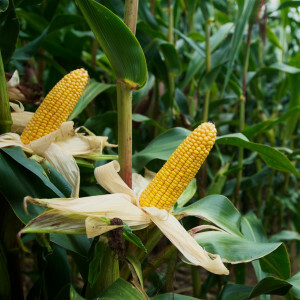 Growing extra acres of maize is a good way to increase total forage production and there is increased interest in growing maize on contract as a way to increase 2019 output. Mr Richmond says that the newer, earlier maturing varieties are in high demand. Farmers saw the benefits of early maturing options with good early vigour last year with crops getting established and away quickly. The earlier harvest also means crops are taken in good conditions and with silage made sooner, it can be incorporated in diets quicker. “The market has been moving towards earlier varieties for several years. If demand remains high, those looking to buy seed late may find that only later maturing options are available. “The other key to variety selection is silage yield and quality. Rigorous plant breeding objectives have resulted in significant advances in variety performance with increases in dry matter production and starch content. Combined, these mean the average variety today can produce enough energy to produce an additional 5600 litres per hectare compared to 15 years ago. 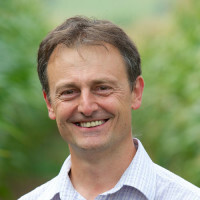 Mr Richmond further warns that the most widely used seed treatment which farmers have relied on for years is being phased out. The enhanced insecticide Mesurol (methiocarb) which is extensively used to reduce problems with frit fly as well as bird damage will no longer be available. The supply of treated seed is unlikely to continue into April, particularly for the most popular varieties. “As this is the last year when Mesurol can be used, seed houses will be running down supplies of treated seed because any stocks left will have to be destroyed. For the same reason, distributors will be reluctant to carry excess stocks. Together these mean that the supply of treated seed will be reduced as the season unwinds. “Sowing untreated seed will increase the risk of poorer establishment and greater losses as a result of bird damage. As all maize seed either originates in, or is packaged in Europe before being shipped across the channel, Mr Richmond also warns that depending on the terms of any Brexit deal there may be a risk of delays in getting maize seed into the country. 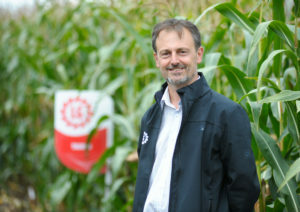 “The benefits of getting maize ordered early will far outweigh any potential benefits of a delay. The most common justifications for late ordering are the hope of late season deals and avoiding having seed in store for too long.